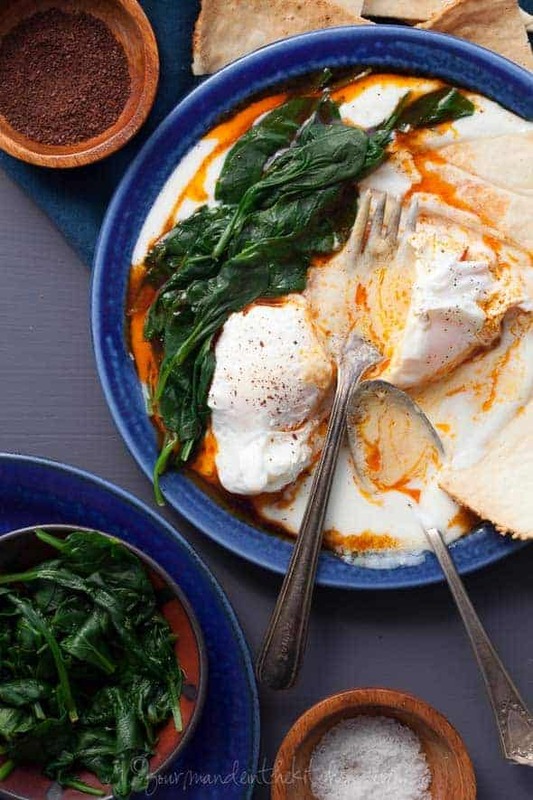 Creamy yogurt is topped with quickly poached eggs, spinach and spicy paprika oil for a satisfying breakfast. 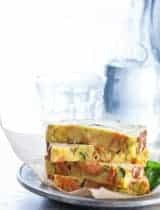 Today I’m sharing with you a breakfast recipe that’s become a real go-to for me; it’s something I throw together often even for lunch or dinner. Some of you may have heard of Turkish poached eggs before, but if you haven’t you’re in for a real treat. The combination of creamy yogurt topped with a poached egg may seem a little unusual at first, but I promise, once you try it you’ll find yourself returning to it time and time again. Nutritious and sustaining, this is one of those meals that fill you up without leaving you feeling stuffed. 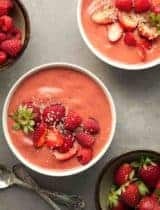 It’s something a little different, but easy enough to whip up in the mornings. 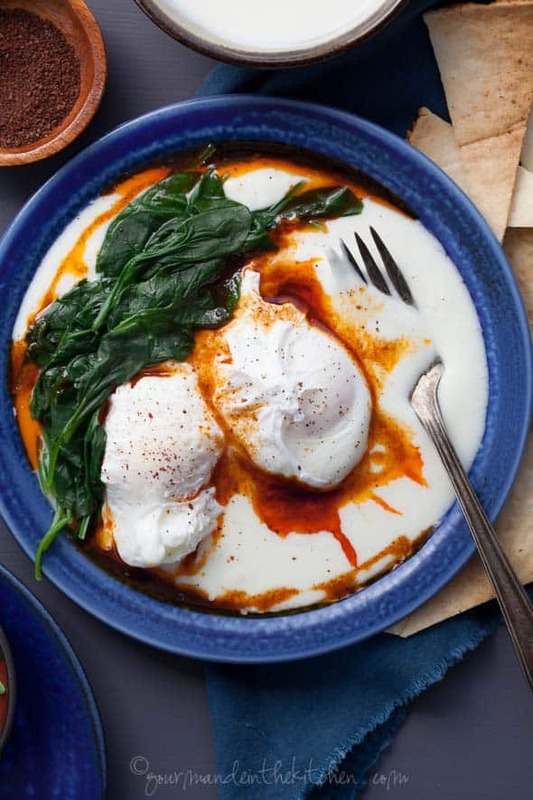 Poached eggs are served atop a creamy bed of yogurt and drizzled with spicy paprika oil. Now I should say that I’ve taken some liberties with the original concept. 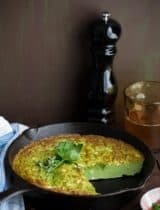 I’ve made my version dairy-free by using coconut milk yogurt and swapped out butter for olive oil in the finishing drizzle. I’ve also added spinach for some green and left out the garlic in the yogurt that’s often called for since I find the idea of raw garlic in the morning a bit much, but feel free to add it back if you’d like. Now for the spices, I used a combination of paprika, cayenne pepper and a smidge of sea salt to make the spicy oil and call for a pinch of sumac to top the eggs. 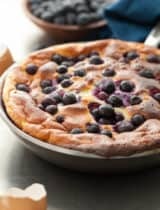 The flavors of the two peppers bloom in the hot olive oil and create an intense, fiery counterpoint to the creaminess of the yogurt and eggs. The sumac is optional but I recommend it if you can find it as it brings a nice tartness and brightness to the dish. And if you’re looking for something crunchy to dip into all that creamy goodness, these grain-free pita chips work nicely. Stir together the yogurt, lemon juice, salt, and pepper and divide between 2 plates. Set aside. Bring a medium saucepan of salted water to a boil. Blanch spinach for 1 minute until just tender. Remove with tongs or a slotted spoon and drain to remove excess water. Set aside. To poach the eggs, fill a saute pan ¾ full of water and bring to a gentle simmer. 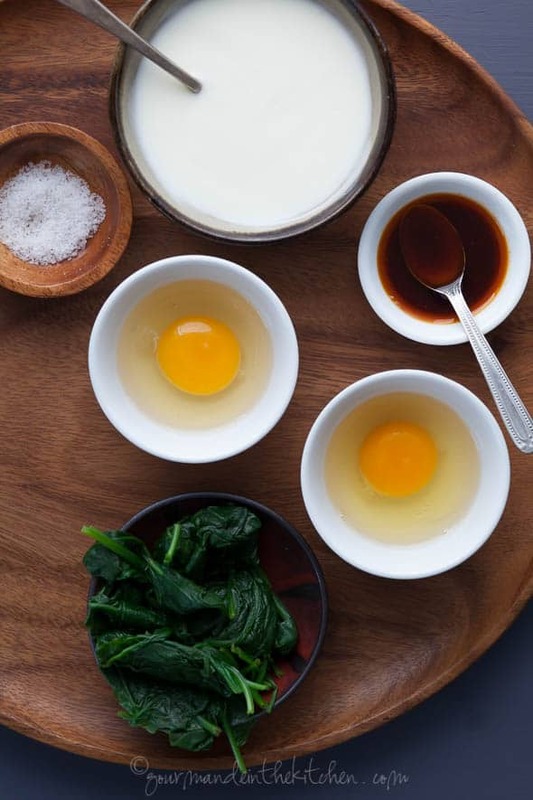 Crack the eggs, one at a time, into a small ramekin and slide them into the water. Gently simmer the eggs for 3 to 5 minutes (depending on how you like your yolks). Remove the eggs from the water with a wire strainer and drain excess water on a clean, kitchen towel. Place half of the spinach and a poached egg on each plate. Drizzle warm paprika oil over eggs. Top with a pinch of sumac and serve with pita chips if desired. What an interesting dish! Hard to see it since your ads are taking over your page though. 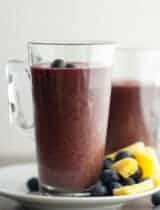 This is a wonderful version of the traditional recipe. Love the fact that you used non-diery coconut yogurt. I would have done the same thing :D Thank you for sharing this recipe! I honestly think my favorite thing about this breakfast is the yogurt topping. 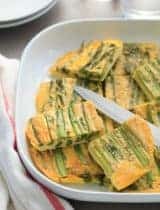 I am pinning to try--sounds so satisfying! This looks like an amazing breakfast! Very filling! Oh my gosh this is a beautiful dish! I love the spices you used, it gives the egg great color! Paprika oil sounds like the perfect thing to combine with poached eggs! 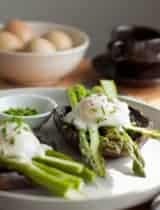 We love poached eggs here. They are great for breakfast/brunch...but we really love them for dinner. These look awesome...nice and runny!! I love Turkish poached eggs. I do enjoy the combination of spinach and eggs. And yogurt, so important in Turkish cuisine. Nice job. These look so good! I can't wait to try these. Do you think younger kids will like it with the paprika oil? The oil makes it pretty spicy so I'd just do a tiny pinch of paprika or sumac on top for younger kids. I must try this for breakfast, looks great. I have not seen coconut yogurt in my neck of the woods. I will check out Trader Joe's. This is total poached egg perfection!! LOVE the flavour! I've not used sumac yet, and I'm wanting to try it Sylvie. What a great dish this is, pretty too. 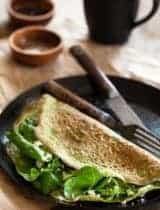 Love the spinach! LOVE this! And I love sumac so this is totally made for me! These eggs are GORG! I would love to start my day with this beauty.